This time of year is full of festive gatherings, holiday cards exchanges and gift giving. I create lists to make sure I don’t forget anyone: relatives I’ve known forever and friends I’ve met on my journey. From these two groups I create a third category: family. Family to me means people who do not hesitate to offer companionship or help when I need a special boost, even in times of limited resources and time. Family includes people who open their homes, their hearts and their lives to our family without reservation, just as we do for them. People of like-mindedness and loving intention. We lift each other up in support and kind perspective. 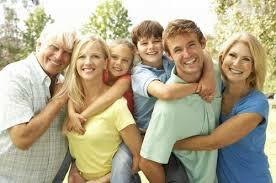 Family is based on choice, and is based more on relationship than relatedness. As someone with few relatives nearby, my friends are in many ways my family. I try to treat them as family whenever I can. In these days of celebration, it’s a good opportunity to try to show my family-by-choice how much they mean to me. Who do you include as family?